Bobbie Joe "Lil Bobby" Hutton was born 4 months after my brother Ralph on April 21, 1950 and 4 years before I was born in 1954. Bobbie Jo Hutton was a victim of a violent attack by the Oakland Police Department on this day 50 years ago. 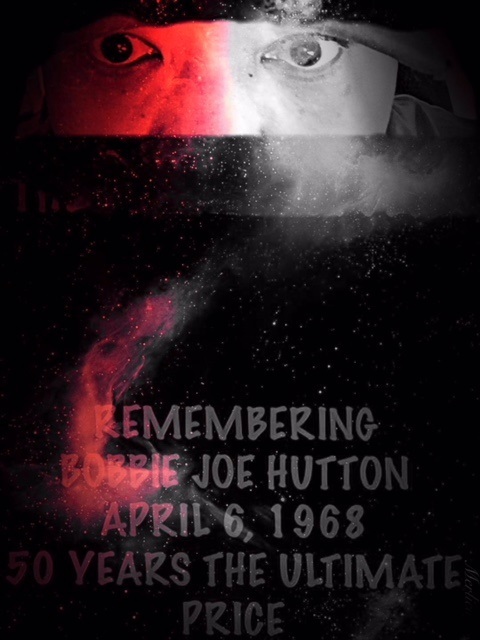 Bobbie Joe Hutton was a victim of a nation draped in hatred and war against black men demanding change. Why do so many of our black youths today know very little about Bobbie Joe Hutton? Bobbie Hutton was the very first recruit of the Black Panther Party for Self Defense. Huey Newton and Bobby Seale didn’t tell a 16 year-old Bobbie Hutton that he was way too young to demand a change for justice. They welcomed the young brother to the fold because Bobbie Joe Hutton was inspired to do a little more to create the change he desired. He was also willing to pay the ultimate sacrifice. 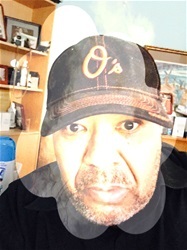 He willingly understood that when he committed to the BPP he was placing a target on his back. You see those in power were not interested in giving up that power to an embattled black community. Two days after Dr. King was murdered Lil Bobby was killed dead in Oakland, California while involved in a police shootout lead by Eldridge Cleaver and 10 other Black Panthers as who supposedly were intent on ambushing police officers in Oakland. Bobbie Joe Hutton was murdered and and simple in a plot by the city of Oakland to eliminate the perceived threat of the BPP. Bobby Hutton had just turned 18 years old at the time. Martin Luther King Jr. had just turned 39 when he was murdered. 50 years has now past between the murders of these two men and today. One , Bobbie Joe Hutton, never really had the chance to impact the freedom movement. Bobby Joe Hutton was to become a symbol of police brutality, he never got to celebrate a victory over oppression. While Dr. King had given more than 13 years to the cause of civil rights beginning in 1955 with the Montgomery Bus Boycott to his murder in Memphis, Tennessee fighting a final battle for that city’s sanitation workers became the nation chosen martyr to the cause of the struggle. Bobbie Joe Hutton carried a gun and rifle for change while King carried a bible. Most likely Bobbie Joe Hutton known more today for that infamous photo of him holding the rifle wearing that straw fedora than his willingness to sacrifice his life at such a young age. Are there going to be national celebrations remembering his state commissioned murder? Or will we continue to allow our history to be brushed aside and let the media tell us what is acceptable protest? It is easy for white America to erase Bobbie Joe Hutton from the history of our people’s struggle for equality. However, it shouldn’t be as easy for our community to forget Bobbie Joe Hutton. Who was murdered 50 years ago today fighting for his people, us. Look at the number of articles today that discuss the life and death of Bobbie Joe Hutton. You see it’s easier for America to continue homogenize King and market his remade image. It’s hard to sell a Dodge Truck with Bobbie Joe Hutton holding a rifle and protecting his black community. The funny thing is both King and Hutton posed threats to America’s white status quo and both were killed within 48 hours of each other.